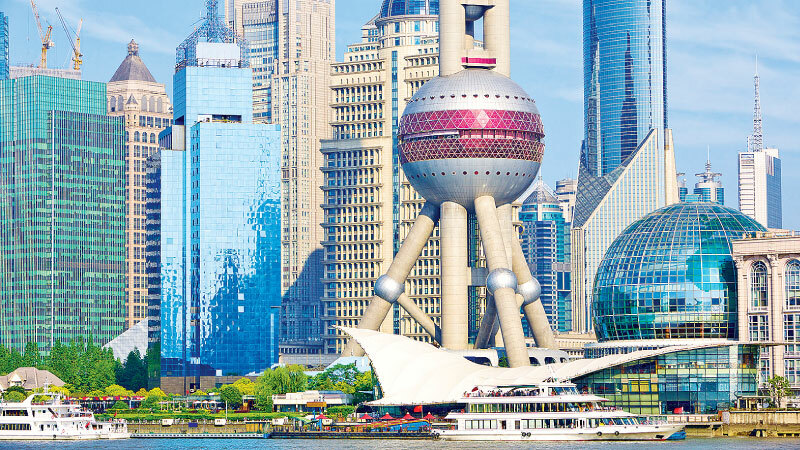 Shanghai is the largest city in China by population and global financial hub has scored great achievements since China implemented the reform and opening-up policy 40 years ago. 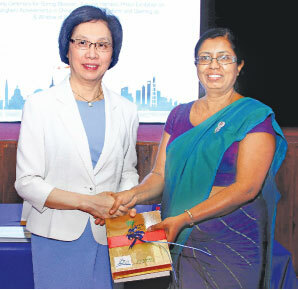 It is believed that Shanghai's experience in the past 40 years will provide benefits for Sri Lankan people to fulfill their considerable development. Celebrating the 15th anniversary of establishing Colombo-Shanghai sister city relationship a Photo Exhibition on Shanghai's Achievements in 40 Years of Reform and Opening up and Window of Shanghai Book Donation was held recentlyat Colombo Public Library. This event was held during the visit of the delegation headed by the Director of Shanghai Municipal People's Congress of China, Yin Yicui. 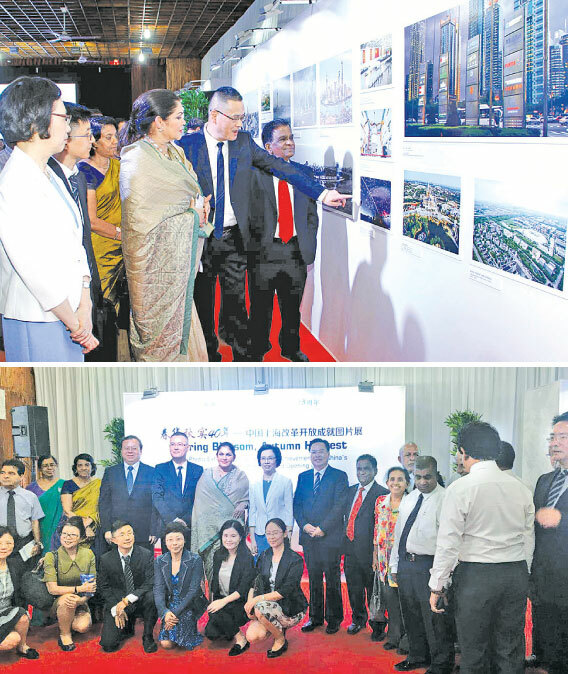 Chinese Ambassador, Cheng Xueyuan, of Development Strategies and International Trade Minister, Malik Samarawickrema, Colombo Mayor, Rosy Senanayake attended the ceremony as Chief Guests. Chinese Ambassador, Cheng Xueyuan said China’s reform and opening-up policy offers the wisdom and power to move forward. “In the Chinese culture, there is a belief that people at the age of 40 could tell right from wrong without any puzzle. As for the 40 years’ great journey of China’s reform and opening-up, it solves the puzzle of how to lift a nation with one billion population from the state of “poverty and blankness” to prosperity and strength. For the past four decades, under the strong leadership of the Communist Party of China, our nation has remained independent, relied on its own efforts, upheld the principles of openness, inclusiveness and win-win cooperation, and accomplished remarkable achievements,” Ambassador said. China’s GDP has increased from 360 billion Yuan to 82.7 trillion Yuan, growing at an annual average rate of 9.5 per cent; around 700 million Chinese people have been lifted out of poverty, accounting for more than 70 per cent of the global total over the same period. Today, China has become the world’s second largest economy, largest industrial country and largest trader of goods with the largest foreign exchange reserves. “We have successfully opened up a socialist development path with Chinese characteristics and have gained confidence in our path, guiding theories, political system and culture. Shanghai is the model and pioneer of China’ reform and opening-up, and its brilliant achievements are the epitome of the tremendous achievements of China’s reform and opening-up. 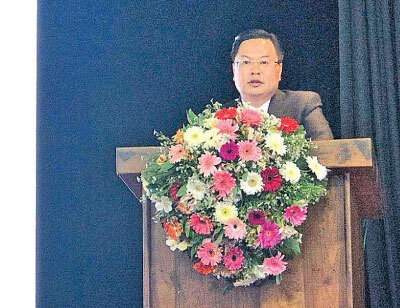 As the economic and financial center of their respective country and sister city of each other, Shanghai and Colombo have lots to learn from each other in metropolitan development and governance,” Ambassador Xueyuan added. Located at the crossroad of the Indian Ocean, he said, Sri Lanka has acted as a regional trade center since ancient times, and just like China, Sri Lanka has benefited a lot from WTO and global trade rules. “No other country could better understand the importance of upholding the free trade system than Sri Lanka. Trade liberalization and economic globalization would build Sri Lanka as a gem on the Indian Ocean; on the contrary, without them, Sri Lanka may only become a lonely island on the vast Indian Ocean. Devoted to upholding the global trade system based on international rules, China acts as a strong force in advocating economic globalization and trade liberalization and takes a firm position against protectionism and unilateralism,” Ambassador explained. He said in November this year, China will hold the first China International Import Expo (CIIE) in Shanghai. “This is a major policy measure of China to further open its market to the world. CIIE will provide new opportunities for export, build new platforms for countries to share the dividends of China’s development and inject new vitality to world economic growth. 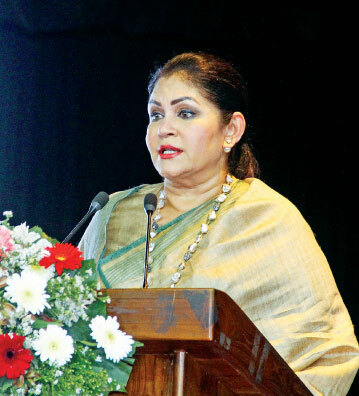 China welcomes Sri Lankan friends from all walks of life, including friends from Colombo, to attend this Expo, and promote Sri Lanka’s black tea, rubber, gems, textiles, spices and other featured products to the 1.3 billion Chinese people, bringing more fruitful results to the friendly relations and cooperation between China and Sri Lanka,” Ambassador concluded.